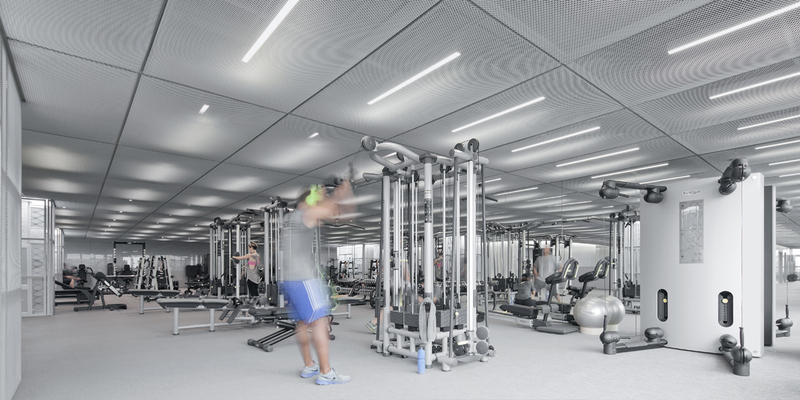 ZWYN Urban Gym is a new type of gym targeting Beijing’s trendy urbanites. 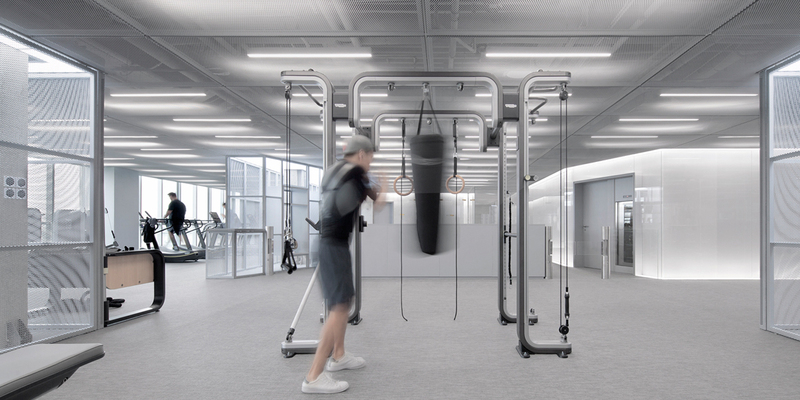 Fully-equipped with Technogym machinery, the design concept called for simple, clean lines, cool colour palette and futuristic feel. 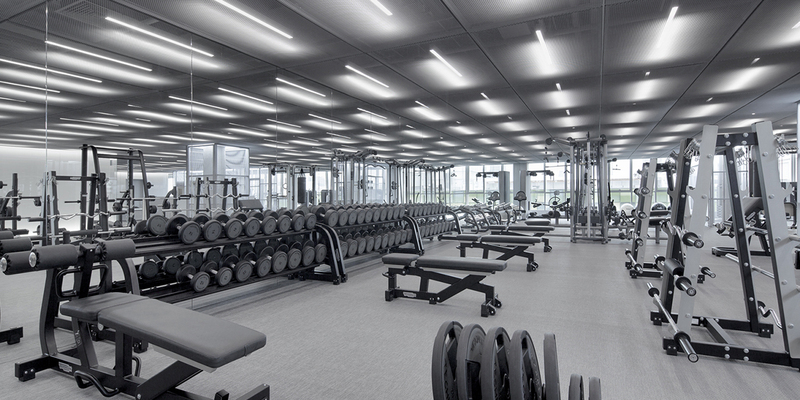 The client’s vision was for a lifestyle inspired gym, where you can do a work out whilst listening to the DJ spin some tunes and admire contemporary art. For an 850 square meter space there were a lot of functions to accommodate, which was made more challenging due to the low ceiling height. 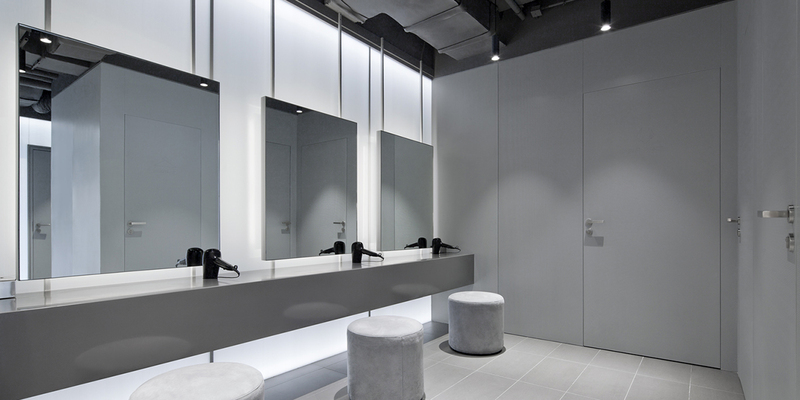 Gun powder grey metal and white polycarbonate were the two predominant materials, with glass, Bolon carpet and soft fabrics as complementing accents. 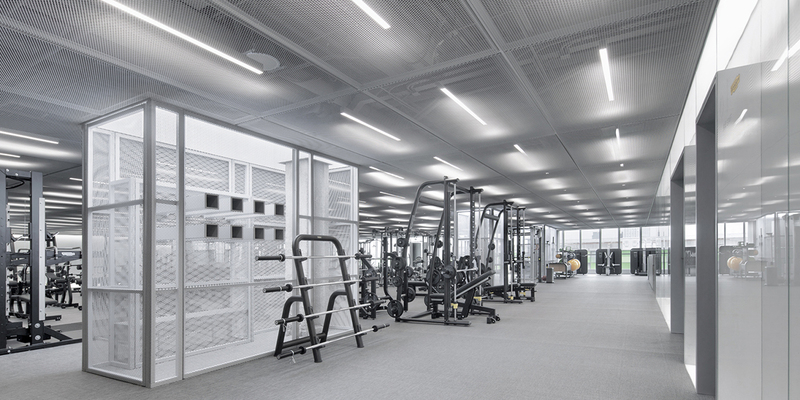 The approach leading from the elevator to the gym is pure and white. 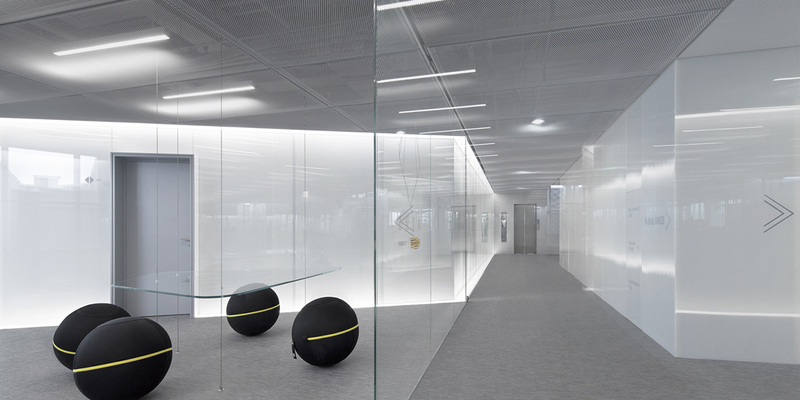 Walls of white polycarbonate are illuminated from the floors and ceiling by hidden lights, with sheets of clear glass lining the front, giving a clean, calm feel to the space. This environment is also ideal for displaying art. A custom made movie screen composed of an LED screen behind a layer of polycarbonate created a central focal point for everyday use as well as during events.